Are you trying to sleep well but you can’t? Please take a look at your dietary habits. Are you sure you are eating right? Are you aware of the fact that eating the right type foods at right time actually helps you to enjoy a good sleep and also help you to fall asleep sooner? It is also believed that intake of healthy foods helps to improve the quality of sleep. You can look at the foods we are going to present. These will help you to enjoy a good sleep. But it is just to stop eating foods two hours prior to bedtime to provide your body sufficient time to correctly digest the food you have eaten. Concerned about falling asleep? Eat a banana prior to bedtime. 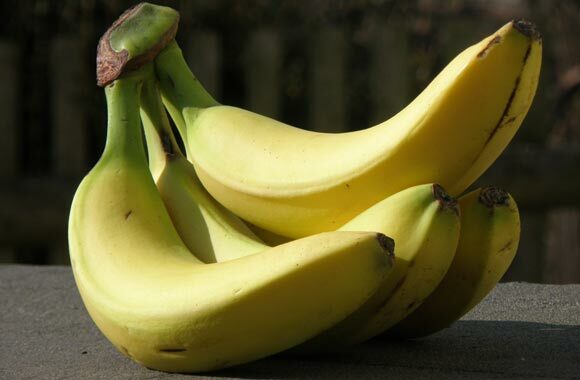 Bananas are an outstanding source of potassium as well as magnesium. They also help to relax your over-stressed muscles. Bananas also enclose tryptophan, which transfers to melatonin and serotonin, the most important brain’s soothing hormones. Bananas are not only healthy but also very tasty. Eat at bedtime and you will not only acquire a good sleep but also important nutrients. It is found out that drinking a glass of cherry juice may prove to be an effective mean to fall asleep quicker. Cherries are a rich source of melatonin so they provide the body with the required amount of melatonin. Melatonin is a substance which is known to treat the problem of insomnia. You can also take frozen, dried or fresh cherries prior to bedtime. Almonds are also found to offer a quicker sleep. They enclose magnesium which encourages sleep as well as muscle relaxation. Almonds also offer protein thus helping in the maintenance of a constant blood sugar level during sleeping. Taking a glass of warm milk or taking milk with granola, toast or oatmeal offer you a perfect sleep. It is established that intake of carbohydrate-rich food can offer a good and a quick sleep. Milk also consists of tryptophan which converts to serotonin and thus provides a calming effect on our brain. It’s also high in minerals such as calcium, known to have a calming effect. Most fish particularly tuna, halibut, and salmon are the rich source of vitamin B6, which is required to manufacture melatonin. This is a sleep-inducing hormone and is usually triggered by darkness i.e. night. Jasmine rice is high-glycemic-index (GI) food. It means it is a rich source of carbohydrates. When a healthy person eats carbohydrate-rich foods, he falls asleep literally faster at bedtime. Though real reason for this fact is still not known it is believed that a good amount of insulin is released which increases the sleep-inducing tryptophan. This insulin also helps tryptophan to enter brain with a greater amount. Barley, bulgur, and other types of whole grains are a rich source of magnesium. It is good in order to enjoy a peaceful sleep. It is also instituted that use of a very small amount of magnesium may make it difficult to stay asleep. No doubt that dairy products are well recognized as inducing good sleep being rich in calcium. But green leafy vegetables are not lagging. They are also a good source of calcium and thus help in inducing sleep. Green leafy vegetables particularly collards and kale are also known to offer a good and an early sleep if you eat them before bedtime. These are also calcium-rich source. And many studies suggest that calcium deficiency may make it hard to fall asleep.